FRESNO, Calif. -- The NAACP thinks the 'The Star Spangled Banner' should be removed as the National Anthem, and now they're making a push at the State Capitol. At their 30th Annual California - Hawaii State Conference at the end of October the civil rights organization announced three separate resolutions they'll present to the California Legislature in January. 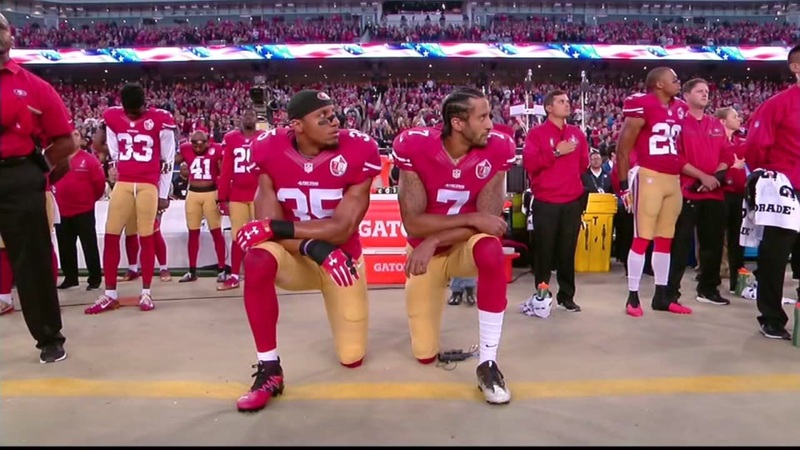 In a Facebook video post, California Hawaii President Alice Huffman said they took a closer look at the national anthem following the kneeling protest of former San Francisco 49ers quarterback Colin Kaepernick. "We are not anti-flag; however when the Star-Spangled Banner was written, it did not include us, African-Americans. Most Americans only know the first part of the song but Key added a third stanza to the song right after America lost the battle in 1815 decrying the former slaves who were now working for the British army," said California Hawaii NAACP President Alice Huffman. "I'm embarrassed that I have participated in supporting this song since a child. It was negative toward me and my race! For these reasons and more, we are calling for this song to be removed as the National Anthem." A spokesperson for the NAACP tells Action News they can't say whether a lawmaker in Sacramento has yet to agree to support any or all of the resolutions, but the NAACP plans a big push to go to the State Capitol in January to make sure their resolutions are heard. The National Chapter of the NAACP also posted a video on their Facebook page saying, "athletes have always had the power to be agents of social change. It's time to #ChangeTheGame again. Are you in?"